Amul has definitely made Indians proud because of so many reasons. 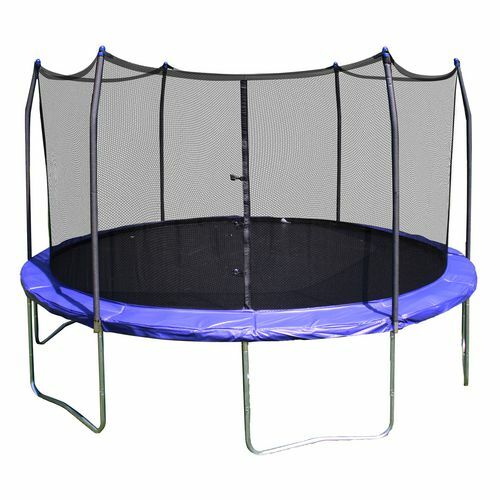 It has become a worldwide brand and is trusted by millions for its quality products. 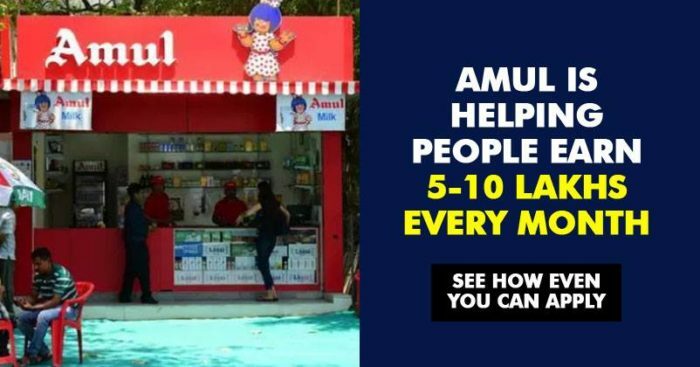 The dairy giant now wants to promote entrepreneurship by providing opportunities to Indians who are looking to make money by associating with Amul. So, if you want to start a small business with low investment, this is a good news for you. All you have to do is take Amul’s franchisee. The best part is the company isn’t asking for any royalties or profit sharing for the franchisee. An investment of Rs 2 lakh to Rs 6 lakh is needed for making a good profit with this franchisee. Amul offers 2 types of franchisees. For the first type which involves Amul Outlet, Amul Railway Parlor or Amul Kiosk, you have to invest around Rs 2 lakhs. Out of this Rs. 2 lakh, Rs 25,000 is non-refundable and will be given as brand security, Rs 1 lakh for renovation and Rs 75,000 rupees for equipment. Also Read: A Low Cost Business Idea That Can Fetch You Millions! Are You Ready? The second type is owning an ice-cream outlet. This would require an investment of Rs 5 lakh. This includes Rs 50,000 as security, Rs 4 lakh for renovations, Rs 1.5 lakh for equipment. 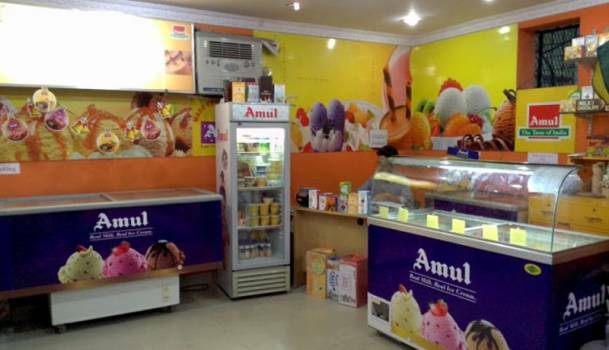 The franchisee owner will get a LED signage from Amul and equipment along with branding will also be provided. Training is also given to any person belonging to the franchisee. Wholesale dealers have been allocated in major cities by Amul. These dealers will deliver products to the outlets. You must have 150 square feet for first type of offer and there should be at least 300 square feet for the Amul Ice Cream Parlor franchisee. Also, the franchisee should be in a good location and it should be rebuilt. It could be not owned or rented but the whole money of setting up a store would have to spent by the individual himself. Along with the margin, Amul will also give commissions for selling products. It is 2.5 % on a milk pouch, 10% on milk products and 20% on ice cream. A revenue of around 50 percent will be provided on recipes based on ice-cream, shake, pizza, sandwich, hot chocolate drink. 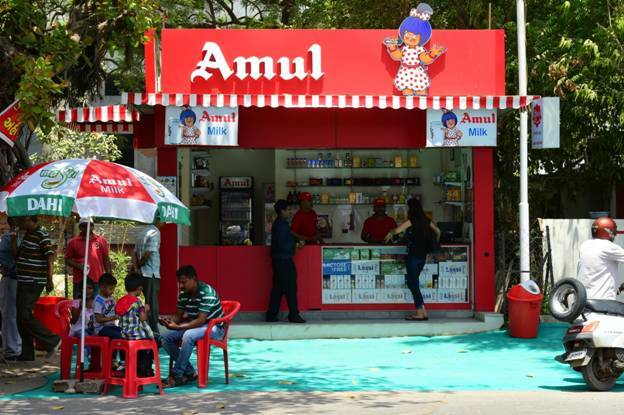 Amul estimates that one can make revenue of around Rs 5 to 10 lakhs per month from a franchise. You can easily get more information from the website of the company. For this, click here.